Iberostar Albufera Park Majorca Mallorca Hotel in Playa de Muro Majorca. This Hotel by the beach in Majorca Mallorca on the Coast of Spain, has a swimming pool, is close to the beach. Prices from 54.05 EUR. Welcome to the Iberostar Albufera Park Majorca Mallorca Hotel.Iberostar Albufera Park is set by the beautiful Albufera Natural Park in northeast Mallorca, just metres from the sea. It offers excellent spa and sports facilities. There is a large lagoon swimming pool. For more on this Hotel by the beach in Majorca Mallorca on the Coast of Spain please click on the availability buttons above and below. 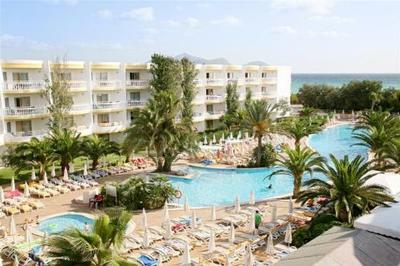 The Iberostar Albufera Park provides excellent Hotel in Playa de Muro Majorca, Majorca Mallorca, on the Coast of Spain. The address is Avenida Playa de Muro, Playa de Muro, 7480.